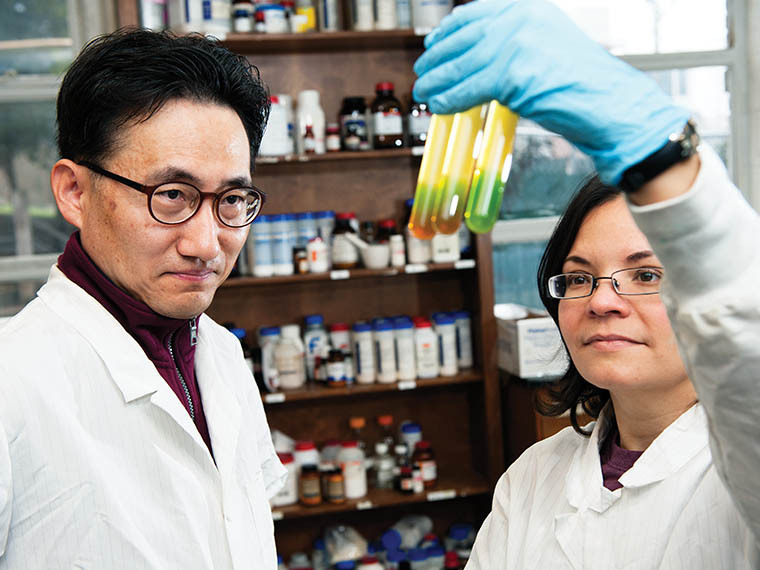 Taejo Kim, MAFES researcher, and Lurdes Siberio-Perez, a graduate student pursing a doctoral degree in food science, nutrition and health promotion with an emphasis on food safety and microbiology, examine the rapid test kit for Salmonella. Photo by Beth Wynn. According to the Centers for Disease Control and Prevention, foodborne pathogens cause an estimated 47.8 million illnesses, 128,000 hospitalizations and 3,000 deaths in the U.S. each year. 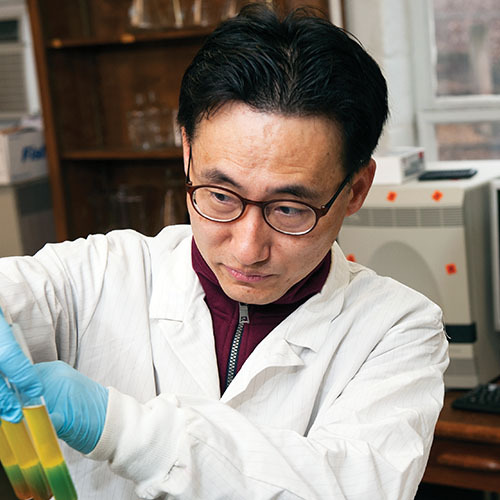 “Early detection at the field and processing plant level can prevent cross-contamination of foodborne pathogens,” said Taejo Kim, assistant research professor in the Mississippi Agricultural and Forestry Experiment Station’s Department of Food Science, Nutrition and Health Promotion. Kim has discovered a way to make industry-wide testing of certain foodborne pathogens fast, easy and affordable. Kim invented one-tube pathogen assay kits for Salmonella, Listeria, E.coli O157:H7 and three strains of Vibrio. Salmonella, Listeria and E.coli can be found in all types of foods. Vibrio bacteria found in seawater, can contaminate seafood. Current rapid methods available for isolating and detecting the pathogens that cause foodborne illnesses use molecular tools such as real-time PCR. This requires extracting DNA and loading a test kit into an analytic system that is very costly. Each individual test kit costs $10. The process requires considerable labor and skill. Technicians must know how to extract DNA from food matrix. Conventional methods can take up to five days to obtain the results. Test kits are stored in a portable incubator and results are available within 24 hours. Photo by Beth Wynn. Kim said the rapid kits culture, separate and detect whole target pathogen cells in a single tube as opposed to DNA or antigen detection so it is easier to use than any other commercial kit. “It takes an hour to train a technician on how to use the kits,” Kim said. Within 24 hours, the results indicate whether or not a pathogen is present. From there, researchers can use multiple tubes to enumerate the pathogen. "Provisional patents have been filed for the methods, procedures and ingredients for single tube Salmonella, Listeria and E.coli kits. “I am working on domestic and international utility patents for the Salmonella, Listeria and E.coli kits,” Kim said. 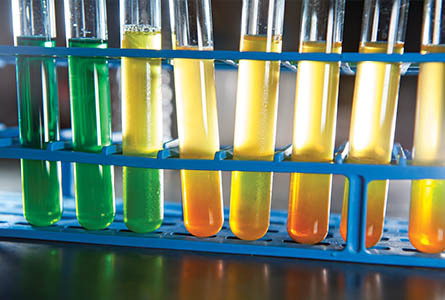 The Vibrio kits, also submitted for patent, were invented under a collaborative research agreement between MSU and the Food and Drug Administration’s Gulf Coast Seafood Laboratory in Dauphin Island, Alabama. Kim said his mission is to continue to develop rapid and cost-effective assay kits to assist the industry and consumers in improving food safety, quality and marketability. While Kim has been at MSU for the last two decades and considers Mississippi his home, he recently visited South Korea, his native country, and found inspiration there. Passion At Work: I enjoy reading big data of biochemical/molecular analysis on microorganisms. Reading the data correctly helps reduce experimental/validation errors.